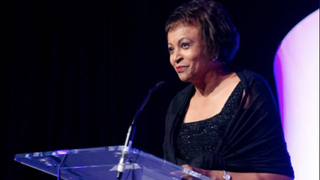 On Wednesday, President Barack Obama nominated Carla Hayden to be the new librarian of Congress. If confirmed, she would become the first woman and the first African American to hold the position. According to The Hill, Hayden is the chief executive of the Enoch Pratt Free Library in Baltimore. James Billington, who served as the librarian of Congress since the Reagan administration, left last September amid criticism around Billington’s lack of an IT plan for the largest library in the country, reportedly moving up his retirement by three months, The Hill reports. There have been only 13 previous librarians, according to The Hill. “Dr. Hayden has devoted her career to modernizing libraries so that everyone can participate in today’s digital culture,” Obama said in a statement.